While Bumble battles Match Group over intellectual property, another women-led dating app is celebrating a more positive 2018. Huggle, a British friendship and dating service launched in 2016, and its all-female marketing team has been acquired by Badoo. Huggle matches users based on the places they love to visit. Simply indicate what you’re looking for – a date or a friend – and your search preferences, including your ideal age range and how many places you must have in common. Huggle uses GPS to automatically check you into locations you visit and notifies you of profiles that share your interests. Founders Stina Sanders and Valerie Stark believe this approach to dating offers a more effective way to assess compatibility. In forming the idea for Huggle, Sanders and Stark knew they wanted something different. They settled on the idea of mutual places because it gives users common ground, quite literally, over which to connect. It also provides an easy conversation starter for singles with a shy side. Since going live in 2016, the app has reportedly attracted over 500,000 users, including celebrities like Bella Thorne, Katie Price, Blac Chyna, Demi Rose, and Joey Essex. Its success did not go unnoticed by Badoo. Andrey Andreev, the Russian entrepreneur behind Badoo, helped Sanders and Stark bring their vision to life, and the Huggle app runs on Badoo's technical infrastructure. Andreev explained Badoo’s partnerships with other companies to Business Insider in 2017. “From our side we provide the technology platform, moderation, service-side, a whole bunch of things. The whole infrastructure," he said. "From their side they provide marketing. They market [to] users, they bring the users. They're responsible for the users, we're responsible for keeping users on the platform, monetising users on the platform, making the users happy." Badoo and Huggle have now taken their relationship a step further, announcing in March 2018 that they are officially joining forces following an acquisition. "After a long period of negotiations, we’re delighted to announce that Huggle will be merging with Badoo, and that both marketing teams will be joining forces to make the best out of both businesses," said Andreev in a statement. 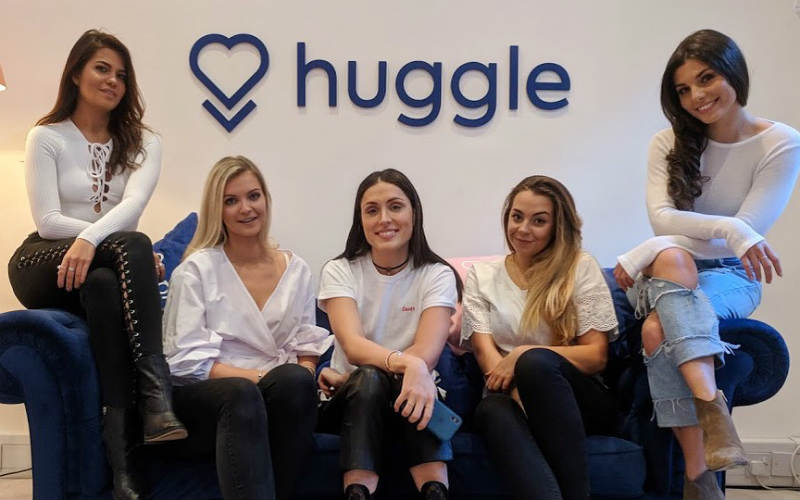 With the backing of an industry giant as big as Badoo, we may be hearing much more of Huggle in the near future.